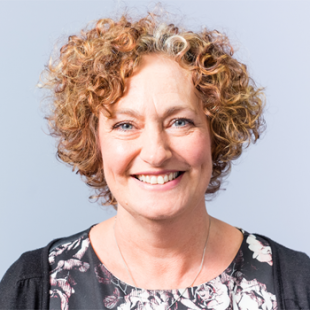 I recently looked at the evidence of school nurse impact - we know they’re a unique and innovative workforce, we know they’re tasked with leading the Healthy Child Programme (5-19), and we know they work hard… but what difference do they actually make? Well as it goes, quite a lot actually – there are positive outcomes for young people, the service they work for and their partners. Few school nurses publish the outcomes of what they do. Now is the time to sort this out. Help and support are available from all sorts of different people – other school nurses, school staff, commissioners, children, young people, parents/carers and other practitioners working in different areas. 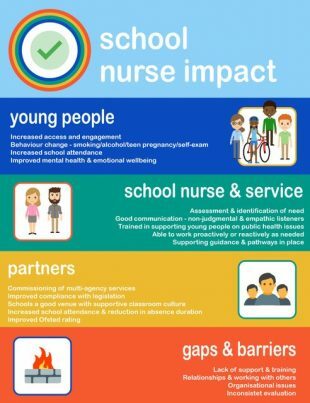 There are a lot of talented school nurses delivering innovative interventions to improve outcomes for children and young people and school nurses really need to share their practice. What worked, what didn’t, what was achieved, who for, anything unexpected. They should not only share with those who were involved, but more widely for anyone who is interested. The wider the better - that way we all learn from others’ hard work. We need each other to develop the evidence-base for practice. How will you evaluate and disseminate?